Germany stars Leon Goretzka and Serge Gnabry have spoken out in condemnation of the racist abuse directed at team mates Leroy Sane and Ilkay Gundogan during Wednesday's draw with Serbia. "I don't remember ever being insulted like that myself, but it does have an affect on me because I have the same colour skin as Leroy," said Gnabry, whose father is Ivorian. "It is really sad that things like this are happening in 2019, and it's important to raise your voice in a moment like that." 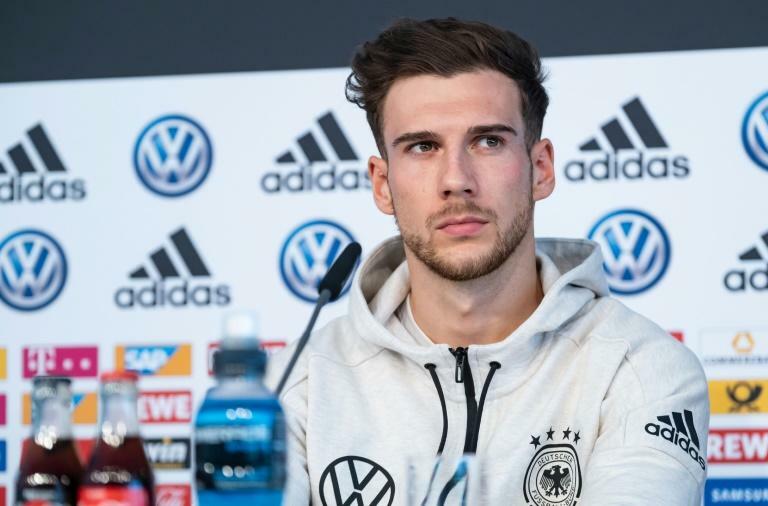 Speaking ahead of Germany's Euro 2020 qualifier against the Netherlands this Sunday, Gnabry's Germany and Bayern Munich team mate Leon Goretzka also called on fans to stand up to racism. "I watched the video, and the scenes that he describes made me really quite furious," said the midfielder. "I can only call on everyone to put people like that in their place." "Where I come from in the Ruhr region, if you are asked about your nationality, the only answer is either Schalke, Dortmund or Bochum."